Everything On This 1 Month Old S'pore Pets Concierge Service Starts From Only S$10! Dogs and cats – these four legged furry creatures are known as man’s best friend, pets or a family member to some of us. We’ll do just about anything for them to make sure they are happy – even if that means bringing them for a massage. But when work, school or travel gets in the way, the basic care for these animals can be disrupted at times, which makes many owners feel a little guilty. So how do we solve this issue when we are plagued by unavoidable responsibilities? Well Cuzzey comes to the rescue. 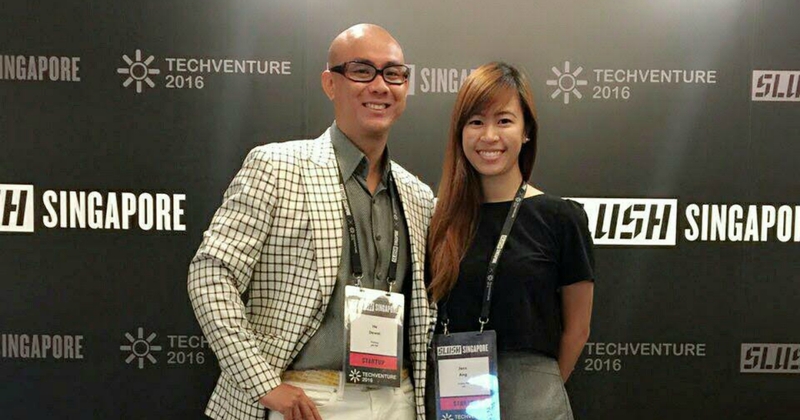 As a fervent pet owner for years, 35 years-old He Dewei, founder and CEO of Cuzzey has had multiple first hand experience on the inconvenience, overpriced and time-consuming ways of getting services and the right products for his pets. Dewei points out that despite the increasing hectic schedule of most people, the number of pet ownerships have been on the rise, exponentially over the past few years, but there are not many services catering to the rising numbers. “We want convenient, fast and value-for-money services right at our fingertips. Our pets should not be compromised at the expense of our lifestyle, instead, this urban lifestyle is the window to bring the sharing economy of pets related needs and community closer,” he says. There were many challenges Dewei faced while trying to set up Cuzzey. The major dilemma would be that he had no knowledge nor experience of working at a tech startup. Raising funds came to be a problem for the founder as well. Fortunately, it wasn’t the biggest problem he faced. Through many hurdles and after a period of time, Dewei was able to find the right team and people he was comfortable and confident to work with. Currently, Cuzzey has a team of four and a pool of highly supportive pet community of pet owners, vendors and service providers. “Though these are just bits and pieces of some of the problems I faced, I believe there would be more to come. And, we are ready for it. Afterall, this is what exactly being an entrepreneur is about – problem solving,” he says. Cuzzey, which pitches itself as a one stop solution for pet services and providers, aims to give the community services pet-owners can seek and provide pet related services to each other. What if you don’t own a pet but still love them? Well you might just get the chance to play with them and get paid for it. Pet-lovers and professionals can capitalise their skillsets, experience and knowledge by offering these as services through Cuzzey that owners might actually pay for. Services available at the site such as grooming, training, petsitting and much more come at a starting price of just ten dollars. When asked why the price of ten dollars, Dewei explains that the idea behind it is its unambiguity and simplicity. “Service providers can be people like you and I, students and retirees, or anyone who have the simple passion for pets. If I reside around Serangoon, and I bring my dog out for a walk every evening, the additional $10 to walk someone’s dog, living across the street is not just additional allowance for myself, my dog gets to socialize and learn more from others as well,” he reveals. The basic price of course gets one a basic service. But if customers were in need for more elaborate services such as a fully professional photography session, prices can increase up to $100 or more depending on negotiations with the service providers. While the website is less than one month old, Cuzzey has already received an overwhelming positive responses from pet-owners and service vendors who wish to be their strategic partners and revolutionise the pets industry. They’ve also been shortlisted into the top 45 in SLUSH – an international startup event – alongside reputable local and international startups. Dewei hopes that responses for Cuzzey will continue to grow so that the team can expand regionally. “Cuzzey’s vision is to be Asia’s go-to platform for all pets’ needs,” he says. With a marketplace app just for pets in the ever growing society of pet owners, it seems that Cuzzey will be at the top of their game soon. Adding to the fact that prices start at ten dollars, making it affordable for everyone, there seems to be no reason why the website won’t explode in popularity, especially among animal lovers.